In early February, we will be performing a fundraising concert at Buckingham Palace along with the Bournemouth Symphony Orchestra, the Alzheimer’s Society and the Wigmore Hall, charities also supported by our Patron HRH Princess Alexandra. Continuing our LPC Music Professionals blog series, we talked to alto Kathryn Gilfoy, Director of Resonate Arts, about her experience of engaging with people with dementia through Singing with Friends and what’s in store at the Palace concert. Q: What is your earliest music related memory? A: I remember singing Richard Tauber songs to the cows from the shuttered windows of the Nissen hut where we were staying on a family holiday in Port Patrick. They seemed to like it a lot! My Dad sang light opera and G&S (it‘s quite a northern thing I believe) so that was what I grew up hearing. He worked in a music shop in the 60s and hated the Beatles (sadly). 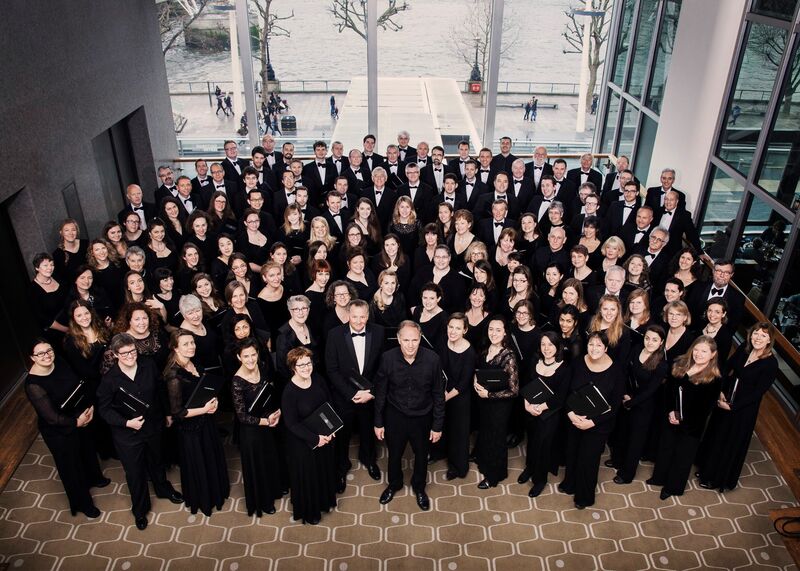 I listened to a lot of classical music – my first LP was Holst’s Planets which I have since sung several times with the London Philharmonic Choir. 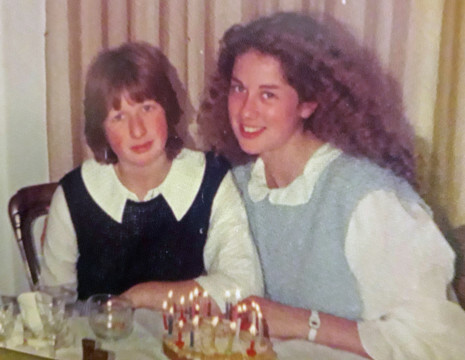 As children, my sister and I often were dragged around to concerts in church halls where our Dad was singing with his group, The Vagabonds (who I used to sing with sometimes). Q: Sounds like your childhood was filled with music? A: Yes, I sang in my local church choir and represented my county at a Brownie singing event in Westminster Abbey. My piano teacher used to surreptitiously have me singing 2-part songs with her during my piano lessons – she always told me not to tell my Dad! I was also once on a radio programme called Atarah’s Music, singing a folk song and being interviewed about the untrained voice. Q: Do you have a favourite composer? A: Not really – I love so many different classical composers, each for different moods and occasions – but I probably reach out for early music the most these days. Beethoven definitely got me through my university finals. But, I also love folk music and I do like the folk influence you can hear in the rhythms and cadences in Britten and Vaughan Williams’s music. Q: How did you come to working with people living with dementia? A: I’ve worked in participatory arts for 30 years and with people living with dementia for the last 20. I’ve worked with Studio 3 Arts, inter-generational arts group Magic Me and now Resonate Arts. I think my upbringing in a church community meant that I have always been easy around people of all ages – one of my best friends as a child, Mr Clements, was probably in his 80s. I’ve noticed that some people tend stick with their own age group to socialise but I’ve always found that choirs are very intergenerational. Q: How did Singing with Friends come into being? A: I always wanted to start a choir as part of my work with people living with dementia. Julian West, an ex-colleague of mine from Magic Me became the Director at the Royal Academy of Music’s Open Academy which trains students to work with people in the community through the use of music. Our two organisations got together with professional musicians from the Wigmore Hall and started Music for Thought – a project led by the Wigmore musicians and involving Academy students and our participants who are living with dementia. As the students moved on in their education, we decided it would be nice to maintain connections in a series of concerts where the participants from Music for Thought could watch the students who they’d worked with perform. Following these successes, we have set up a choir involving the Music for Thought participants called Singing with Friends and the group has gone from strength to strength, even taking part in a Radio 3 project “exploring the implications of music’s unique capacity to be remembered”. Q: What’s the most memorable moment from your time working on Singing with Friends? A: The first time we put on a concert, we told the participants that there would only be a few people in the audience mainly so they didn’t get too anxious about the performance. When we walked out on stage we were met by 60 beaming faces of friends and family who had come along to support the participants. Far from being anxious, they lapped up the attention. The audience was so enthusiastic that someone suggested we entered ourselves into the National Dementia Care Awards. We were shortlisted for the new arts category which was the cherry on the cake! The real reward, though, is seeing our participants enjoying themselves. One member of the Music for Thought project told us, “It’s terrific fun when you can sing your heart out. It’s joyous.” We don’t have to mention dementia at all in the choir, as the reason everyone is there is because they love singing and making music together. Another participant commented, “Music is my medicine” – which I imagine resonates with many of us. Q: How will performing at Buckingham Palace compare with your usual concerts? A: We have only performed on the Wigmore Hall stage so far, and whilst many would find that nerve wracking, that of course is home ground to our participants. The Palace will be our first ‘away gig’ as well as our first evening performance. Also, it will be the longest time we’ve spent together, so keeping everyone going throughout the day will be a task for myself and my partner at Wigmore, Hermione Jones. The Palace staff are wonderful and doing everything they can to accommodate our needs. We’ve assessed the route into the Palace and accessibility of toilets and these are just two of the logistics to consider. Dinner is being provided for the singers between the rehearsal and performance and we’ve told them if they feel nervous about performing, they should just to think of it as their poshest ever dinner date! Q: Does being a member of the LPC influence your day job? A: It’s definitely true that Resonate Arts does a lot of music projects and that comes from my own interest in music, along with my colleague Lucy Warren who is an orchestral player. 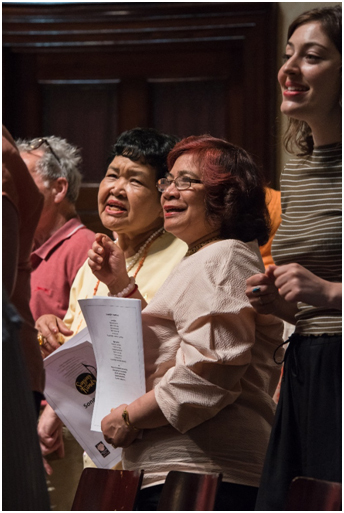 And, of course, with Singing with Friends it certainly helps that I am a singer myself – I can lead sections and have depped for the choir leader Isabelle Adams when she couldn’t attend a session. As well as the Music for Thought workshops, we have set up a summer programme Opera for Thought working with young performers from Opera Holland Park and linking into their summer season’s programme. Q: After 20 years in the LPC, is it possible to pick a favourite concert? A: My first Mahler 8, topped only by singing it last year alongside Spem in alium with Vladimir Jurowski. I well up just thinking about them! Your first ever concert singing with LPC is always going to be very special and I was lucky to sing A Cotswold Romance with Richard Hickox which we also recorded. Q: You’re working full time in a demanding job, how do you balance work with the commitment needed to be in the LPC? A: I’m lucky that the job is mostly flexible with advance notice so I can attend day time rehearsals – short notice is harder as I can’t shift a workshop or concert. I’m the Director and I have a supportive Board who are always going to be positive about arts related activity anyway. 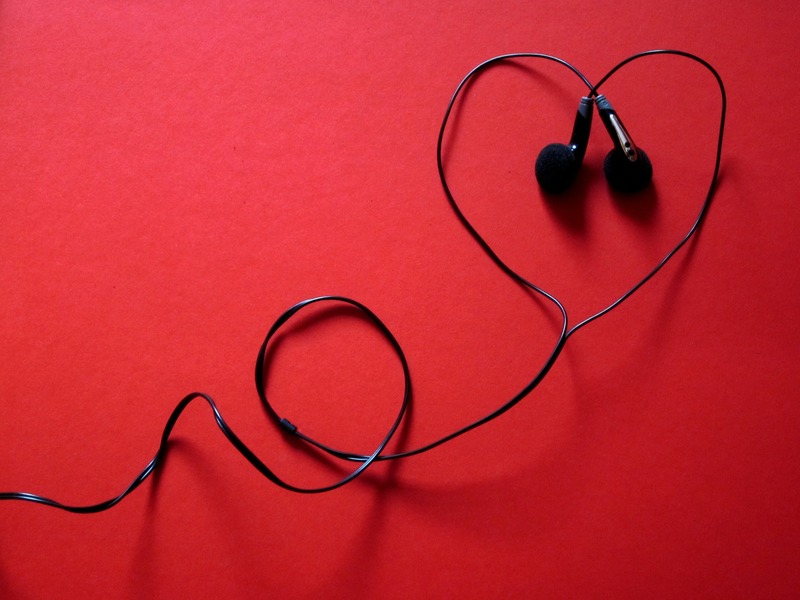 A shared love of music can strengthen and enhance all that’s good about a relationship.